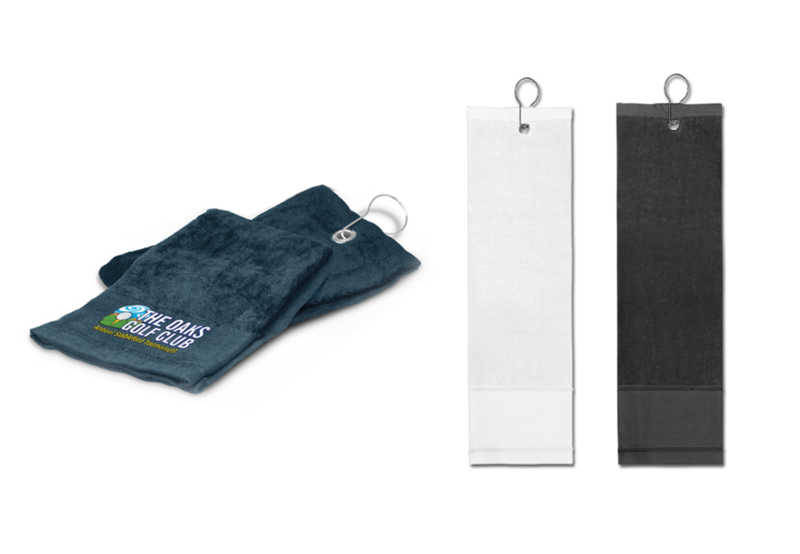 Branded Towels - Get a FREE Quote today! 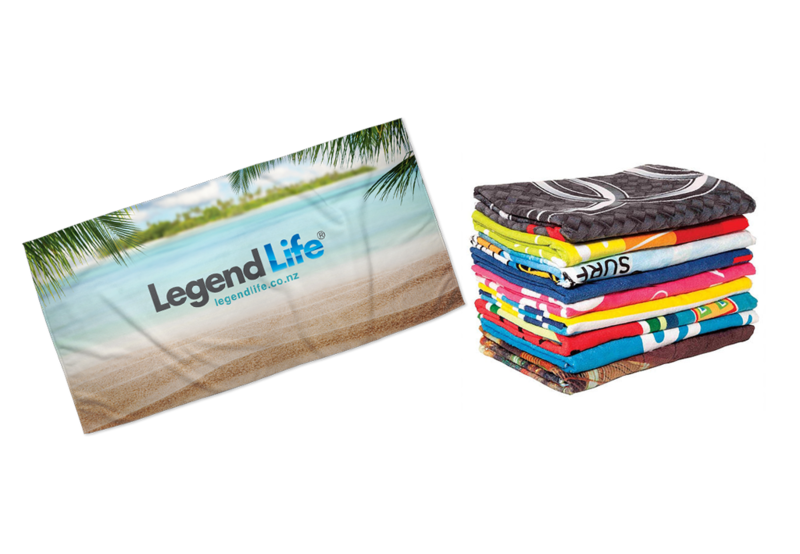 Branded Beach Towels; Branded Gym Towels; Branded Travel Towels; Branded Golf Towels – these are all very popular giveaways that are constantly used by the recipients which is a powerful way to build your brand. 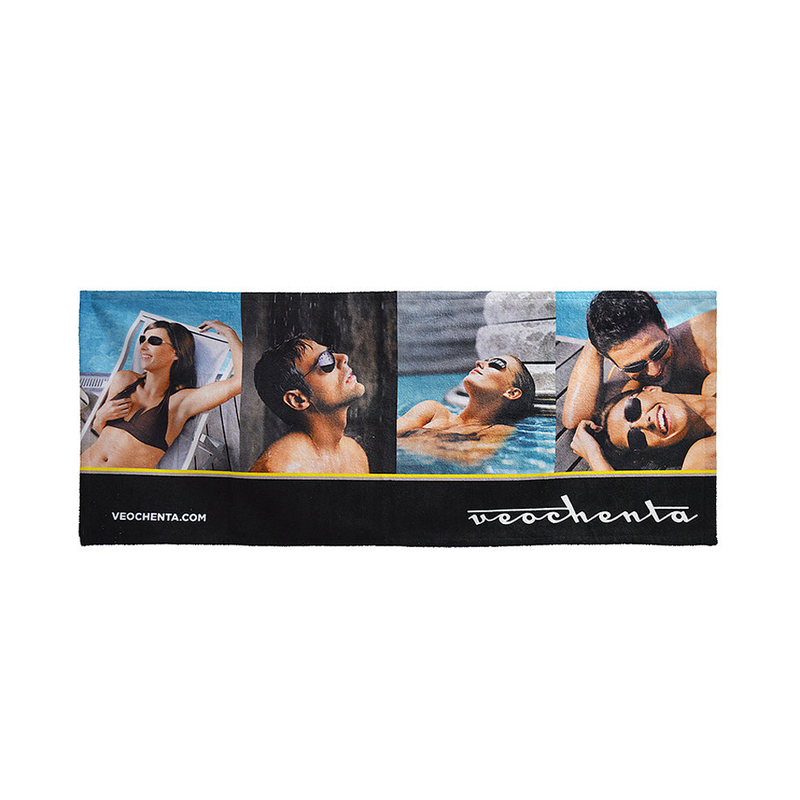 Towels have a large branding area that exposes your brand or message in a very powerful way. 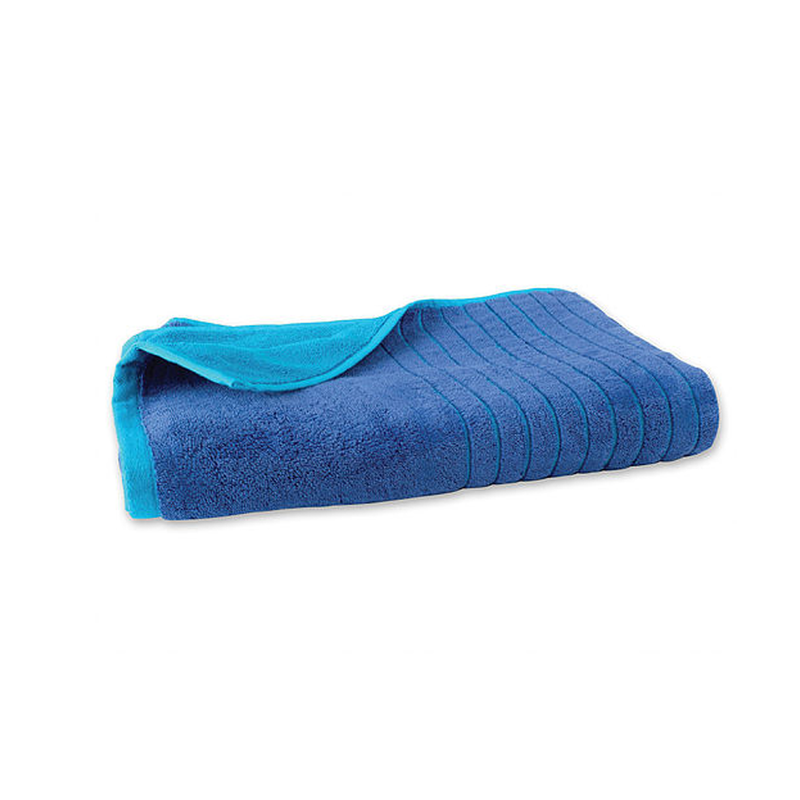 It takes a long time for a towel to wear out! 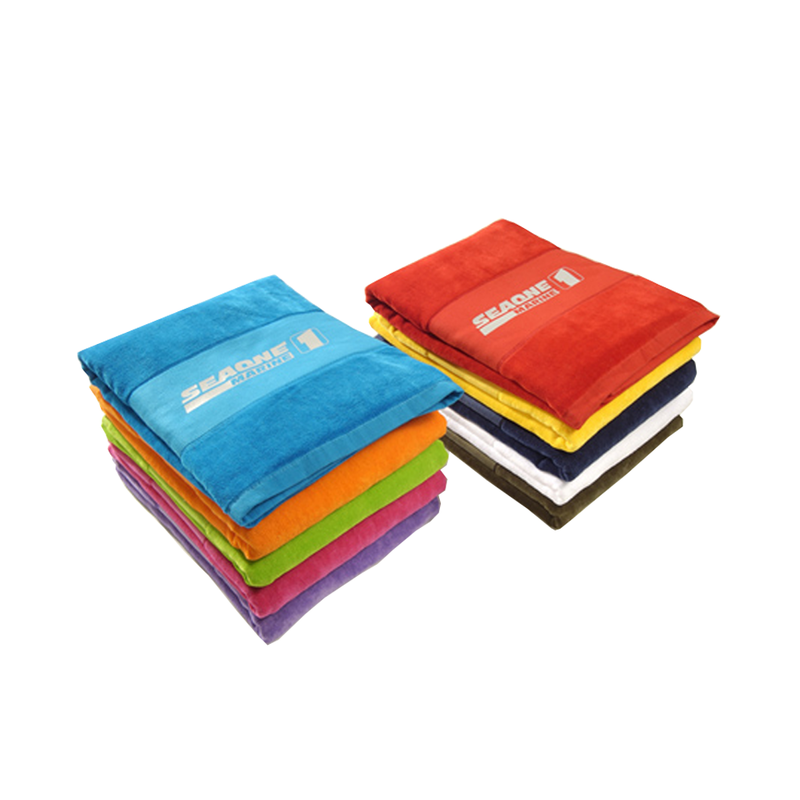 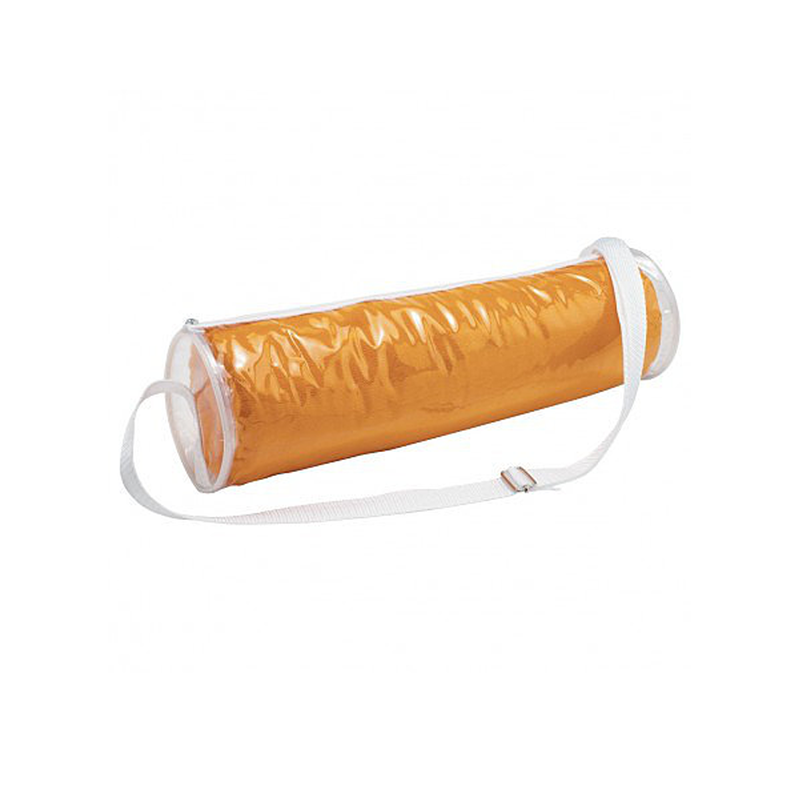 A number of the Sports/Gym Towels are manufactured in microfibre so they are highly absorbent. 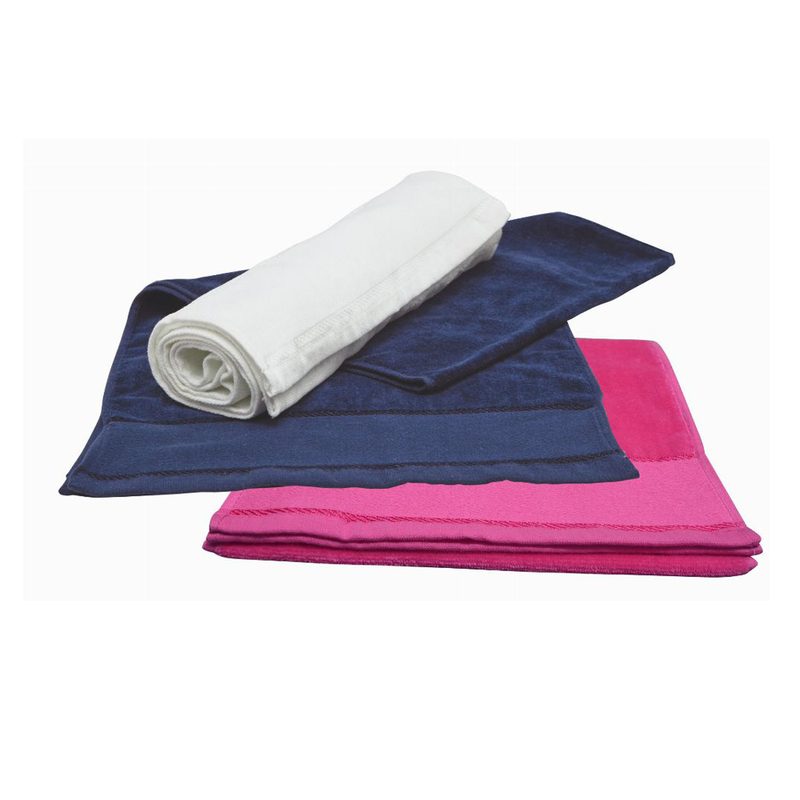 Other fabrics used in the manufacture of towels is terry towelling, polyester/cotton, heavy cotton & terry velour. 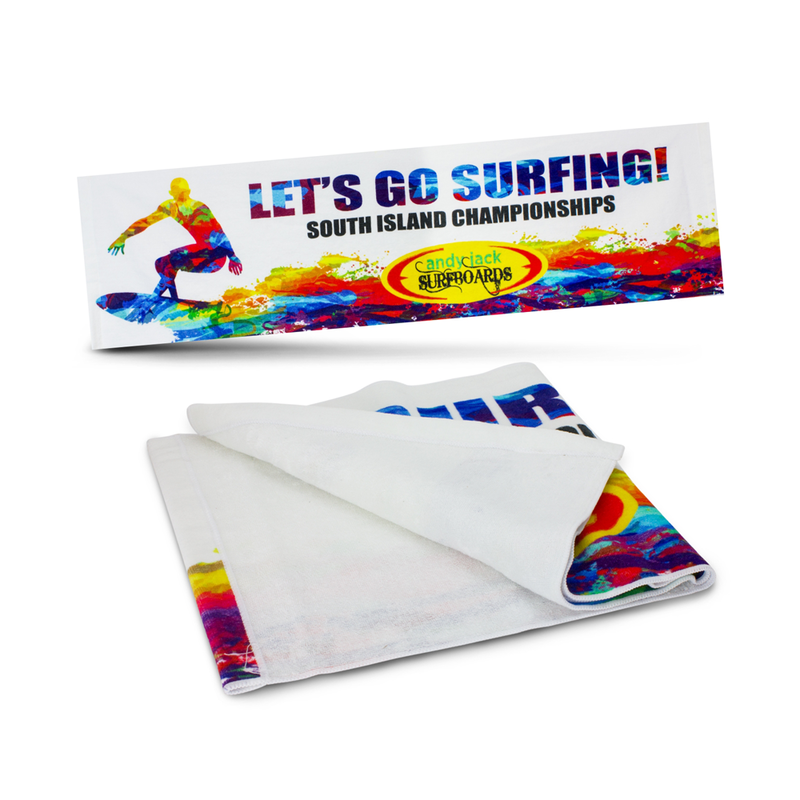 Recently there have been some awesome branding options introduced such as custom sublimation print which is available edge-to=edge on polyester/cotton beach towels as well as a heavy cotton beach towel which can be branded with stunning high definition digital printing that is colour fast. 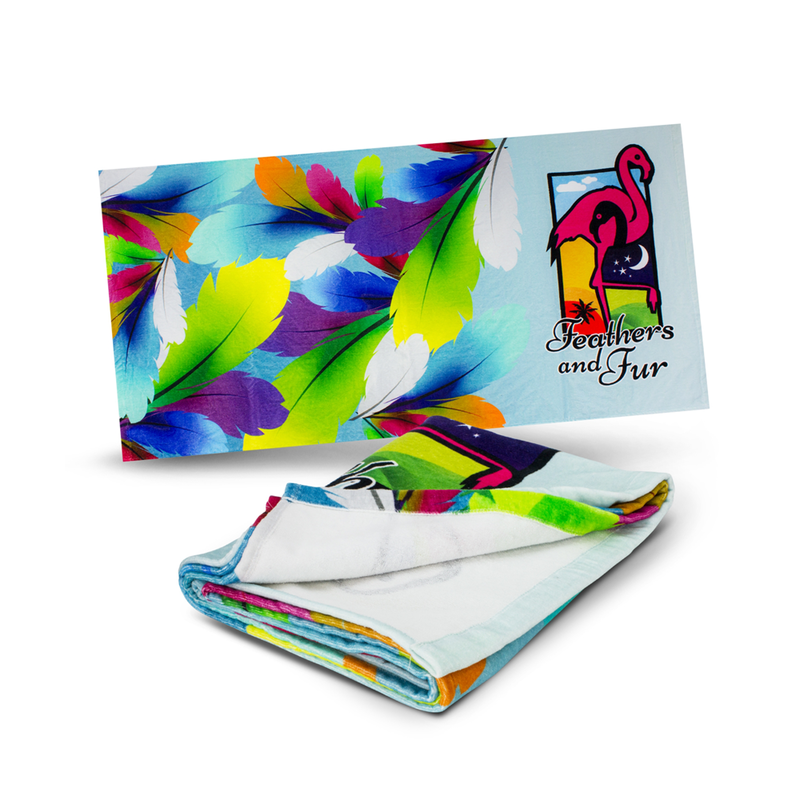 Other branding methods are a screen print or transfer print which can be applied to the fret or pile of the towels. 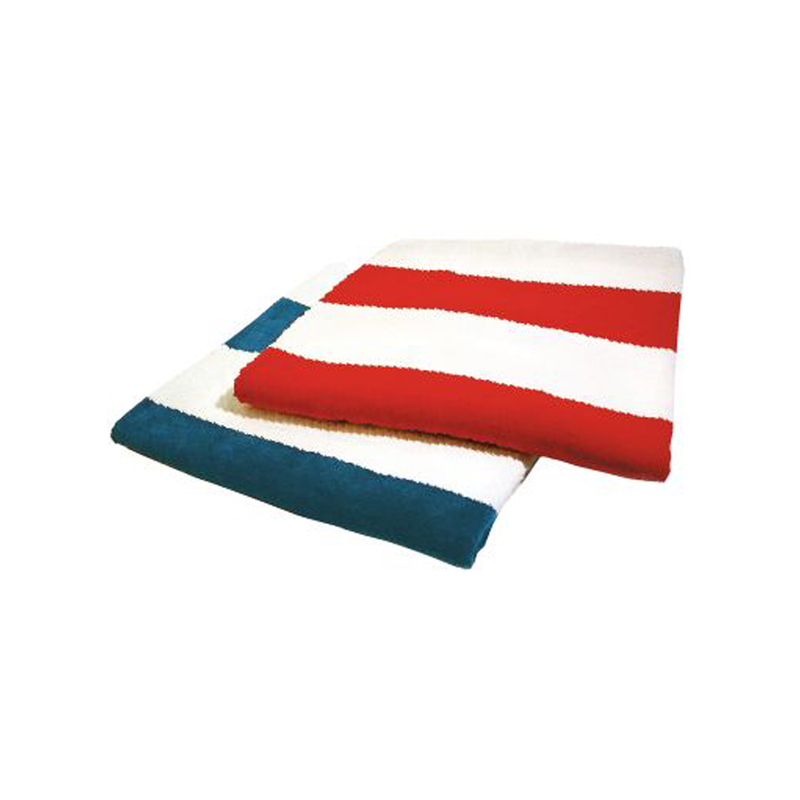 Embroidery has always been a popular method of branding towels which can be done on the fret or pile. 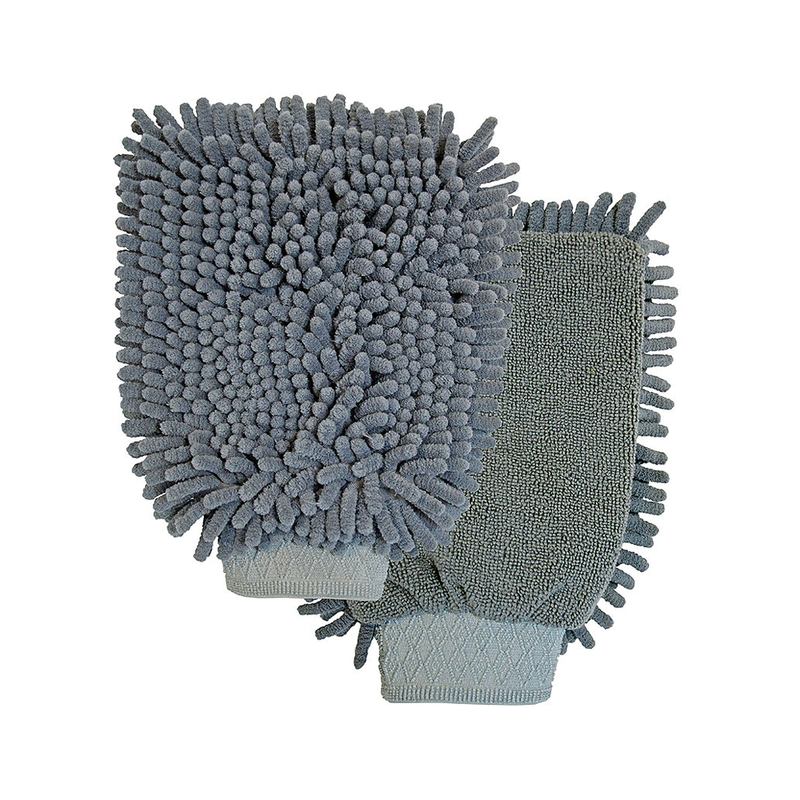 The microfibre towels can even be lasered! 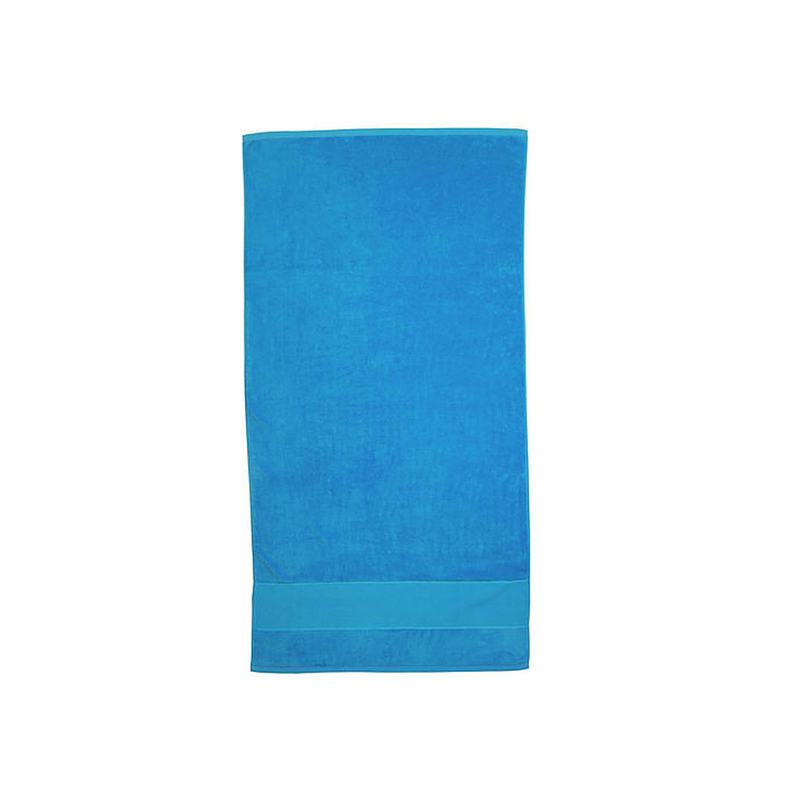 Screen print: A common method for branding towels as large print areas are possible and is ideal for large solid areas of colour. 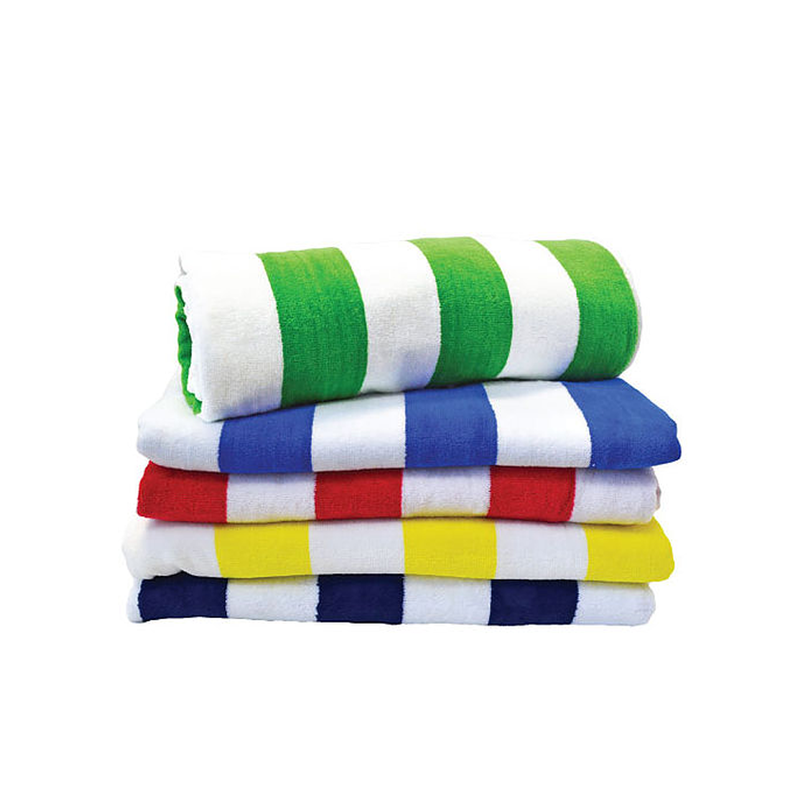 Close PMS matches are possible on white or light coloured towels. 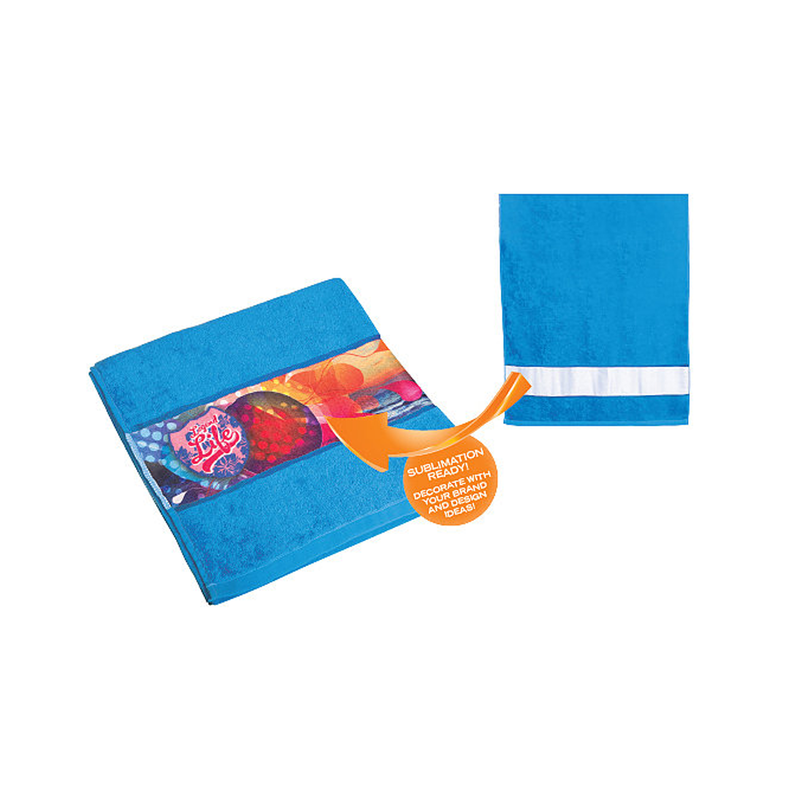 Digital transfers: Used for branding fabrics this method produces crisp, clear artwork reproduction even on textured fabrics such as towels. 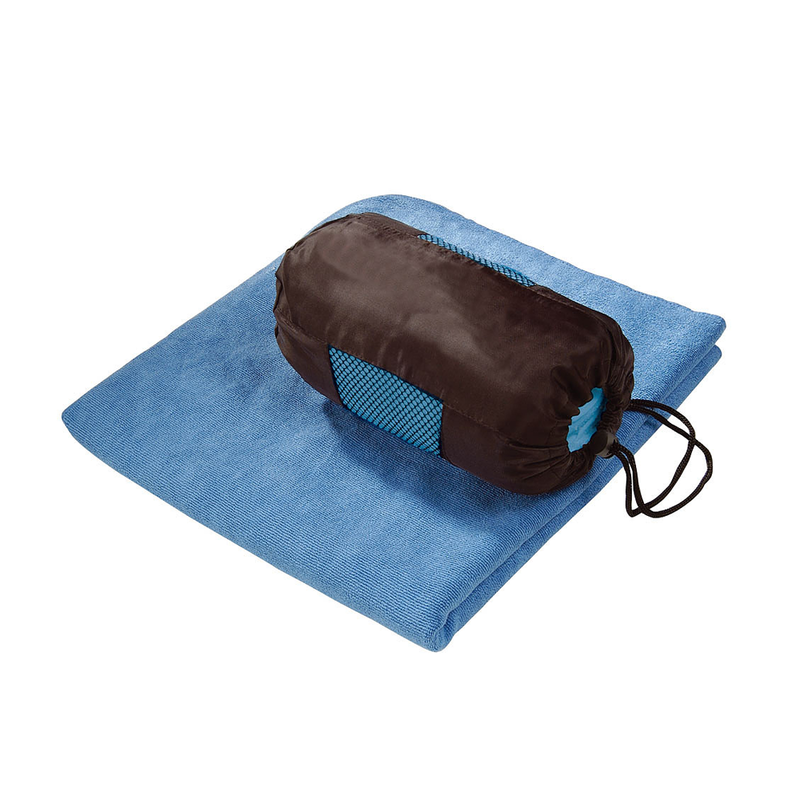 It has a matt finish and will not crack or fade under normal circumstances. 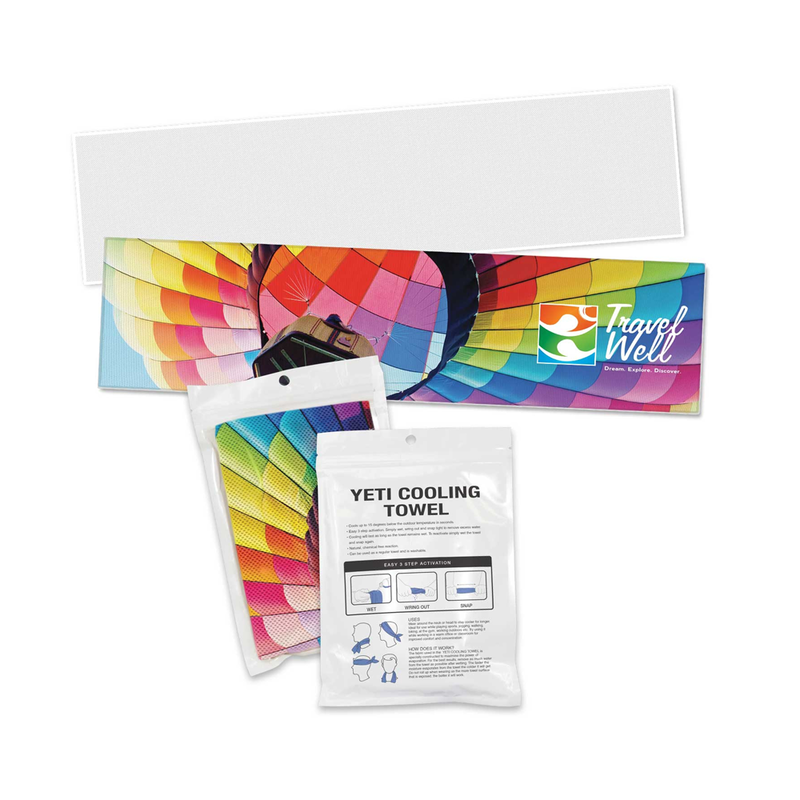 It is a cost effective method for producing spot colour or full colour transfers. 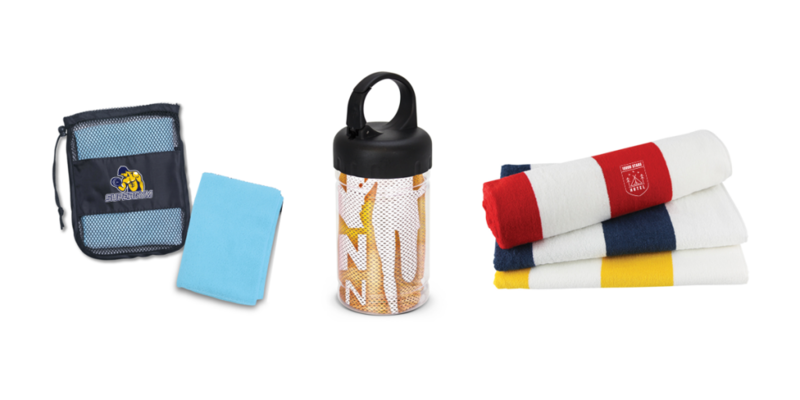 Embroidery: A popular method for branding towels. 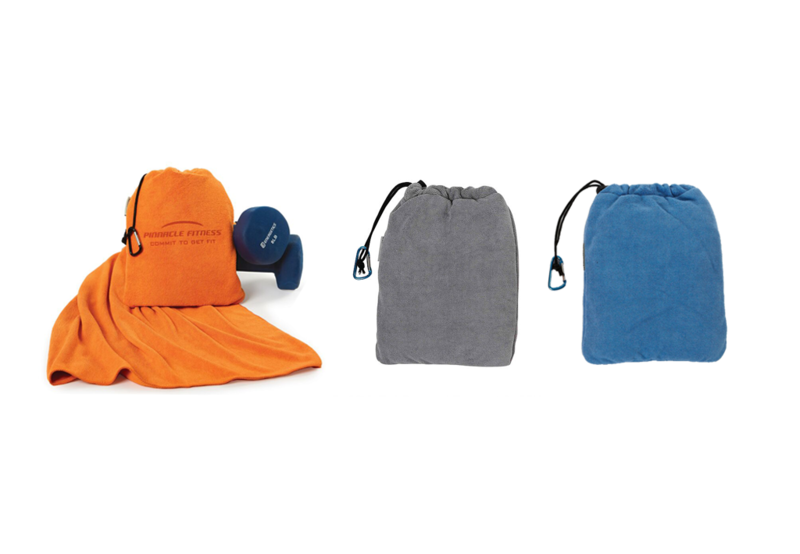 It has a higher perceived value and a depth of branding quality which other processes cannot match. 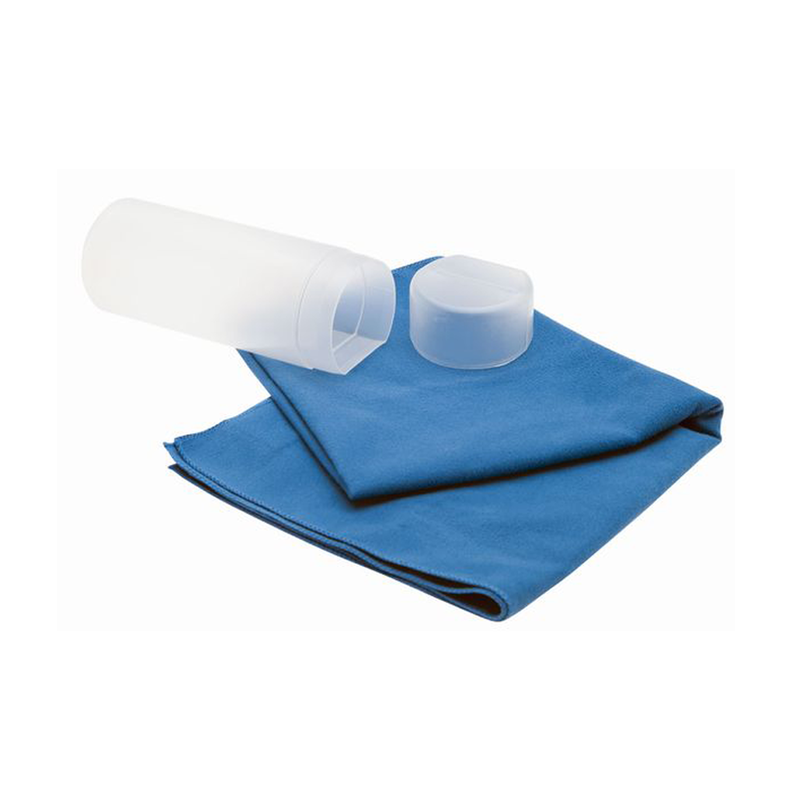 Embroidery uses rayon thread stitched into the product which gives the finished image a slightly raised effect.